Technical TestCenter (TTC) was visited by the two-member delegation from the NBC Defense Institute of the Czech Republic University of Defense, Lt.Col. 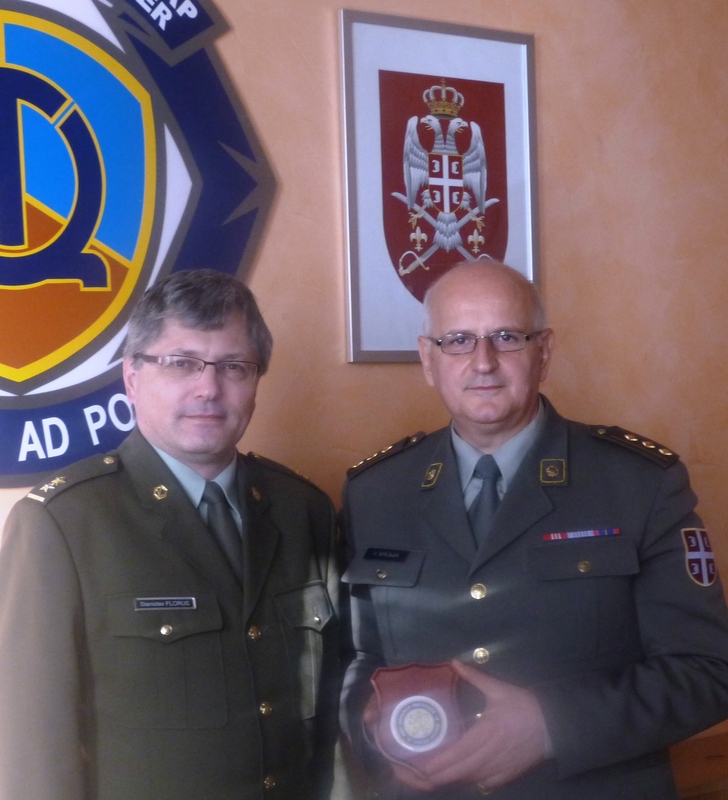 prof. Stanislav FLORUS, PhD and Lt.Col. prof. Pavel OTŘÍSAL, PhD. The activity was supported by the NATO DEEP program and conducted under the International Military Cooperation Plan for 2015, in the framework of cooperation between the University of Defense of the Republic of Serbia and theUniversity of Defense of the CzechRepublic. The aim of the visit was introduction with the TTC capacities and capabilities in the field of testing of weapons and military equipment, particularly in the area of ​​NBC protection equipment. Guests were informed about scientific work results on developing a methodology for testing protective properties and physiological suitability of a new type of insulating NBC protective garment. During the visit was presented a part of the laboratory facilities from the Electronics sector, in the field of testing the resistance of protective materials to the climatic-effects and environmental impacts (resistance to mold, corrosive atmospheres and impacts of water). Representatives of the NBC Defense Institute of the CzechRepublic expressed their interest in developing and improving existing cooperation in the field of NBC materials testing through a joint research project in 2016.